Undertake one of the most inspiring trips of your life as you combine the vitality of the Mekong and the mysticism of the Irrawaddy to create holiday memories that will entrance and delight for years to come. Featuring the very best elements of South East Asia with the ultimate in luxury all-inclusive river cruising, you begin in Yangon, exploring mystical Myanmar. 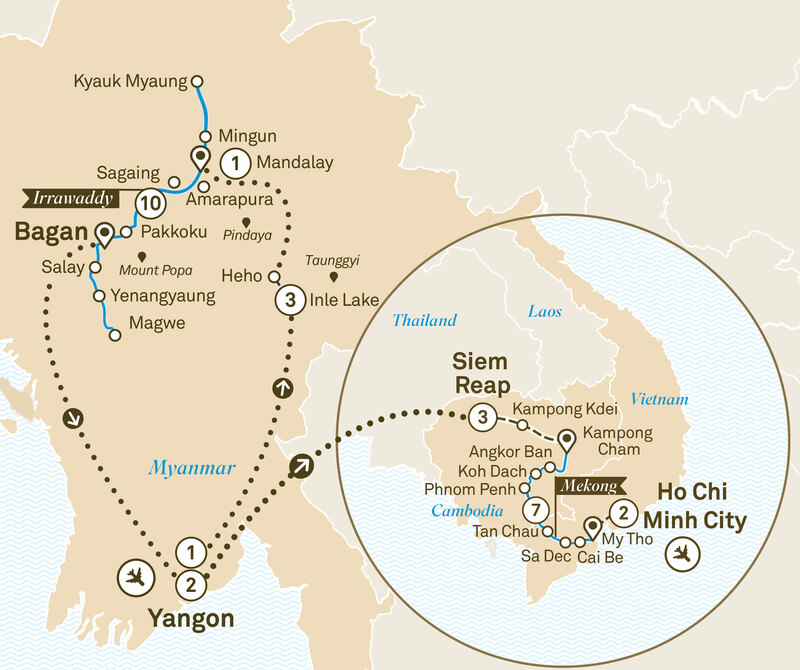 As you journey along the spectacular Irrawaddy, jaw-dropping doesn’t even begin to cover it. From Yangon fly to Siem Reap Cambodia, taking in the wonders of Angkor Wat before moving into vibrant Vietnam, along the mighty Mekong finishing this remarkable journey in vibrant Ho Chi Minh City.